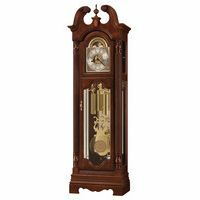 Grandfather Clocks for sale made in USA and Germany 30%+ off on all Grandfather Clocks. Free Shipping and Free In-Home Setup by Certified Technician for all USA Grandfather Clocks deliveries for all brands shipped to Continental 48 US States. 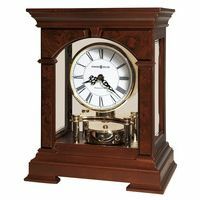 Free Shipping including In-Home Delivery for Howard Miller and Ridgeway Grandfather Clocks to Canada. Free Shipping and No Sales Tax (along with Free In Home Setup) add to our value proposition to you. Call us at 1-800-4CLOCKS (1-800-425-6257, Option 1), and we will be pleased to answer any questions regarding purchasing a new grandfather clock. 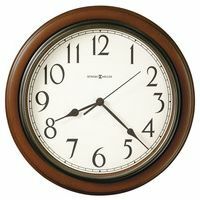 Also offered are online grandfather clock resources, including a website intended to replicate an in-store shopping gallery sight and sound experience, a Grandfather Clocks Buying Guide, and a Clocks Blog which answers the literally hundreds of grandfather clocks questions we have received over many years.